.270 Winchester 130 grain Berger Classic Hunter~ The .270 Winchester (or 6.8×64mm) was developed by Winchester Repeating Arms Company in 1923 and unveiled in 1925 as a chambering for their bolt-action Model 54. The cartridge is a necked down .30-03, which is the same length as the .280 Remington, both of which are longer than the .30-06 Springfield. The .270 Winchester became a very popular cartridge due to the widespread praises of gunwriters like Townsend Whelen and Jack O’Connor who used the cartridge for 40 years and touted its merits in the pages of Outdoor Life. 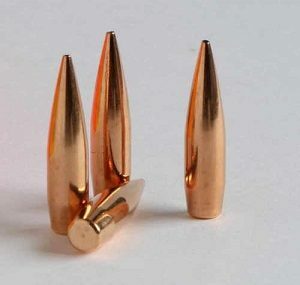 The cartridge demonstrated high performance at the time of its introduction and was marketed as being suitable for big game shooting in the 270 to 460 metres (300 to 500 yd) range. Two additional bullet weights were soon introduced: a 6.5 grams (100 gr) hollow-point bullet for varmint shooting, and a 9.7 grams (150 gr) bullet for larger deer, elk, and moose in big-game hunting. Our 100% Hand-Loaded .270 Berger Classic Hunter rounds are loaded with extremely tight tolerances, producing highly accurate, consistent and reliable performance with each and every shot! 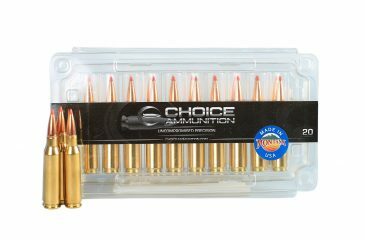 We feel our proprietary load formulas and loading process create the finest round of ammunition available on the commercial market today. If you don’t load your own ammunition- let us do it for you! The Berger Classic Hunter Series is designed for the discriminating shooter and outdoorsman who insists that his loaded rounds function flawlessly through any rifle magazine. Berger Classic Hunters are tailored specifically for factory rifle applications where SAAMI length loaded rounds are a must, and they are offered in select weights that provide exceptional downrange performance in today’s factory rifles. No custom barrels, special twist rates or reloading tricks are needed to achieve cutting-edge results. 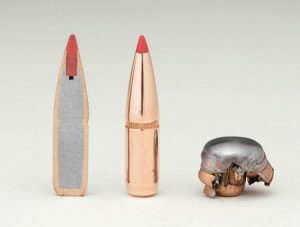 Classic Hunter ballistic coefficients (BC’s) exceed other market offerings due to the unique ogive properties provided by our innovative hybrid-shaped bullet nose. The hybrid design combines the best of both tangent and secant ogive features, resulting in optimal ballistic performance with less sensitivity to bullet seating depth. Easy to load and shoot, the Classic Hunter Series include Berger match-grade quality materials and award-winning results. This is not loaded ammunition. .270 Winchester 130 grain Berger VLD-Hunting~ The .270 Winchester (or 6.8×64mm) was developed by Winchester Repeating Arms Company in 1923 and unveiled in 1925 as a chambering for their bolt-action Model 54. The cartridge is a necked down .30-03, which is the same length as the .280 Remington, both of which are longer than the .30-06 Springfield. The .270 Winchester became a very popular cartridge due to the widespread praises of gunwriters like Townsend Whelen and Jack O’Connor who used the cartridge for 40 years and touted its merits in the pages of Outdoor Life. The cartridge demonstrated high performance at the time of its introduction and was marketed as being suitable for big game shooting in the 270 to 460 metres (300 to 500 yd) range. Two additional bullet weights were soon introduced: a 6.5 grams (100 gr) hollow-point bullet for varmint shooting, and a 9.7 grams (150 gr) bullet for larger deer, elk, and moose in big-game hunting. Our 100% Hand-Loaded .270 Berger 130 grain VLD-Hunting rounds are loaded with extremely tight tolerances, producing highly accurate, consistent and reliable performance with each and every shot! 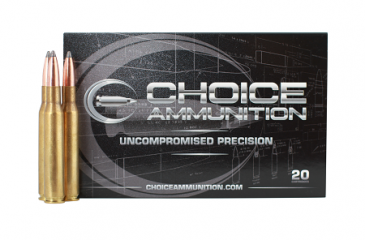 We feel our proprietary load formulas and loading process create the finest round of ammunition available on the commercial market today. 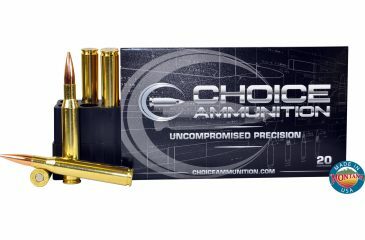 If you don’t load your own ammunition- let us do it for you! .270 Winchester 130 grain Hornady SST~ The .270 Winchester (or 6.8×64mm) was developed by Winchester Repeating Arms Company in 1923 and unveiled in 1925 as a chambering for their bolt-action Model 54. The cartridge is a necked down .30-03, which is the same length as the .280 Remington, both of which are longer than the .30-06 Springfield. The .270 Winchester became a very popular cartridge due to the widespread praises of gunwriters like Townsend Whelen and Jack O’Connor who used the cartridge for 40 years and touted its merits in the pages of Outdoor Life. The cartridge demonstrated high performance at the time of its introduction and was marketed as being suitable for big game shooting in the 270 to 460 metres (300 to 500 yd) range. Two additional bullet weights were soon introduced: a 6.5 grams (100 gr) hollow-point bullet for varmint shooting, and a 9.7 grams (150 gr) bullet for larger deer, elk, and moose in big-game hunting. Our 100% Hand-Loaded .270 Hornady SST rounds are loaded with extremely tight tolerances, producing highly accurate, consistent and reliable performance with each and every shot! We feel our proprietary load formulas and loading process create the finest round of ammunition available on the commercial market today. 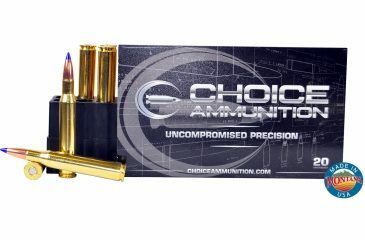 If you don’t load your own ammunition- let us do it for you! .270 Winchester 140 grain Hornady SST~ The .270 Winchester (or 6.8×64mm) was developed by Winchester Repeating Arms Company in 1923 and unveiled in 1925 as a chambering for their bolt-action Model 54. The cartridge is a necked down .30-03, which is the same length as the .280 Remington, both of which are longer than the .30-06 Springfield. The .270 Winchester became a very popular cartridge due to the widespread praises of gunwriters like Townsend Whelen and Jack O’Connor who used the cartridge for 40 years and touted its merits in the pages of Outdoor Life. The cartridge demonstrated high performance at the time of its introduction and was marketed as being suitable for big game shooting in the 270 to 460 metres (300 to 500 yd) range. Two additional bullet weights were soon introduced: a 6.5 grams (100 gr) hollow-point bullet for varmint shooting, and a 9.7 grams (150 gr) bullet for larger deer, elk, and moose in big-game hunting. .270 Winchester 130 grain Barnes TTSX~ The .270 Winchester (or 6.8×64mm) was developed by Winchester Repeating Arms Company in 1923 and unveiled in 1925 as a chambering for their bolt-action Model 54. The cartridge is a necked down .30-03, which is the same length as the .280 Remington, both of which are longer than the .30-06 Springfield. The .270 Winchester became a very popular cartridge due to the widespread praises of gunwriters like Townsend Whelen and Jack O’Connor who used the cartridge for 40 years and touted its merits in the pages of Outdoor Life. The cartridge demonstrated high performance at the time of its introduction and was marketed as being suitable for big game shooting in the 270 to 460 metres (300 to 500 yd) range. Two additional bullet weights were soon introduced: a 6.5 grams (100 gr) hollow-point bullet for varmint shooting, and a 9.7 grams (150 gr) bullet for larger deer, elk, and moose in big-game hunting. Our 100% Hand-Loaded .270 Barnes TTSX rounds are loaded with extremely tight tolerances, producing highly accurate, consistent and reliable performance with each and every shot! We feel our proprietary load formulas and loading process create the finest round of ammunition available on the commercial market today. If you don’t load your own ammunition- let us do it for you! .270 Winchester 130 grain Nosler Ballistic Tip~ The .270 Winchester (or 6.8×64mm) was developed by Winchester Repeating Arms Company in 1923 and unveiled in 1925 as a chambering for their bolt-action Model 54. The cartridge is a necked down .30-03, which is the same length as the .280 Remington, both of which are longer than the .30-06 Springfield. The .270 Winchester became a very popular cartridge due to the widespread praises of gunwriters like Townsend Whelen and Jack O’Connor who used the cartridge for 40 years and touted its merits in the pages of Outdoor Life. The cartridge demonstrated high performance at the time of its introduction and was marketed as being suitable for big game shooting in the 270 to 460 metres (300 to 500 yd) range. Two additional bullet weights were soon introduced: a 6.5 grams (100 gr) hollow-point bullet for varmint shooting, and a 9.7 grams (150 gr) bullet for larger deer, elk, and moose in big-game hunting. Our 100% Hand-Loaded .270 Nosler Ballistic Tip rounds are loaded with extremely tight tolerances, producing highly accurate, consistent and reliable performance with each and every shot! We feel our proprietary load formulas and loading process create the finest round of ammunition available on the commercial market today. If you don’t load your own ammunition- let us do it for you! .270 Winchester 140 grain Berger VLD-Hunting~ The .270 Winchester (or 6.8×64mm) was developed by Winchester Repeating Arms Company in 1923 and unveiled in 1925 as a chambering for their bolt-action Model 54. The cartridge is a necked down.30-03, which is the same length as the .280 Remington, both of which are longer than the .30-06 Springfield. The .270 Winchester became a very popular cartridge due to the widespread praises of gunwriters like Townsend Whelen and Jack O’Connor who used the cartridge for 40 years and touted its merits in the pages of Outdoor Life. The cartridge demonstrated high performance at the time of its introduction and was marketed as being suitable for big game shooting in the 270 to 460 metres (300 to 500 yd) range. Two additional bullet weights were soon introduced: a 6.5 grams (100 gr) hollow-point bullet for varmint shooting, and a 9.7 grams (150 gr) bullet for larger deer, elk, and moose in big-game hunting. Our 100% Hand-Loaded .270 Berger VLD-Hunting rounds are loaded with extremely tight tolerances, producing highly accurate, consistent and reliable performance with each and every shot! We feel our proprietary load formulas and loading process create the finest round of ammunition available on the commercial market today. If you don’t load your own ammunition- let us do it for you! .270 Winchester 140 Grain Nosler AccuBond~ The .270 Winchester (or 6.8×64mm) was developed by Winchester Repeating Arms Company in 1923 and unveiled in 1925 as a chambering for their bolt-action Model 54. The cartridge is a necked down .30-03, which is the same length as the .280 Remington, both of which are longer than the .30-06 Springfield. The .270 Winchester became a very popular cartridge due to the widespread praises of gunwriters like Townsend Whelen and Jack O’Connor who used the cartridge for 40 years and touted its merits in the pages of Outdoor Life. The cartridge demonstrated high performance at the time of its introduction and was marketed as being suitable for big game shooting in the 270 to 460 metres (300 to 500 yd) range. Two additional bullet weights were soon introduced: a 6.5 grams (100 gr) hollow-point bullet for varmint shooting, and a 9.7 grams (150 gr) bullet for larger deer, elk, and moose in big-game hunting. Our 100% Hand-Loaded .270 140 grain Nosler AccuBond rounds are loaded with extremely tight tolerances, producing highly accurate, consistent and reliable performance with each and every shot! We feel our proprietary load formulas and loading process create the finest round of ammunition available on the commercial market today. 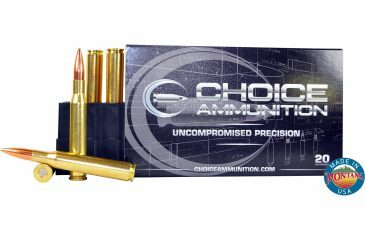 If you don’t load your own ammunition- let us do it for you! .270 Winchester 150 grain Nosler Partition– Jack O’Connor fans, here you go! The longest shot Jack ever took an elk with was with a hand-loaded 150 grain Nosler Partition. The .270 Win rifle has been around for more that 90 years now and is still revered as one of the best big game rifles ever made to many. 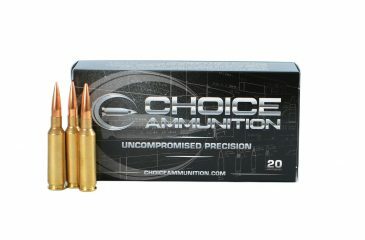 Choice Ammunition has taken our 100% hand-loading techniques and produce an extremely accurate, highly dependable round for the .270 Win in this load. Our loading tolerances are only matched by passionate hand-loaders in their own loading rooms. 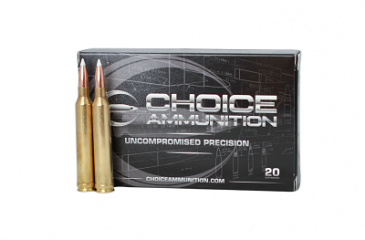 Consistent seating depths, powder charges and proprietary formulas of Choice Ammunition, make this 150 grain Nosler Partition round the best you can buy on the commercial market today. Every Partition® bullet in the Nosler line delivers optimum length, weight and ogive design for maximum in-flight and terminal performance.